Secret Ponchos is ranked in the 25th percentile of games scored on OpenCritic. This over-the-top Wild West themed MOBA has a lot of potential, even if it needs a bit more polish.. Altogether, Secret Ponchos is a relatively simple, straightforward game with some very nice flair. Great visual and sound design bring the dusty Western setting to life, and a great cast of varied characters means tons of strategies to explore and refine. Although the foundation for a great online twin-stick shooter has been laid with Secret Ponchos, it's going to need more content and a meatier core mode to really keep people interested -- until then, I think the game will struggle with keeping some of its community. Personally, I really hope that Ponchos catches on and doesn't have to ride into the sunset. Secret Ponchos' seemingly simple gunplay is rewardingly deep, but its content is otherwise disappointingly shallow. The setting, art style, sound design, and balanced characters in a unique gameplay style make this game a really great game to own. I love when games seem to walk into my life and satisfy some gaming desire I didn't know I had. Secret Ponchos is a refined, intricate twin-stick shooter rooted in the Old West that, for those who enjoy simple, yet tactical, online battles, will stand on its own for a time to come. 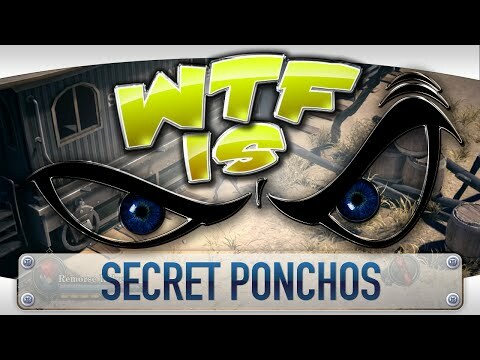 Secret Ponchos exudes depth despite its limited features. Secret Ponchos is a solid online experience that gamers with a fondness for competition and twin stick shooters will enjoy. This makes Secret Ponchos an odd prospect, in that the game itself is of reasonably high-quality save for a few gripes, but that it's difficult to recommend given that it's a competitive game which suffers from a dearth of people actually playing it. If you're willing to take a chance on its number of active users potentially increasing in the future, then Secret Ponchos has much to offer thanks to its solid gameplay, with it being both accessible for newcomers and offering enough to satisfy those who wish to delve deeper into it. If you have a group of friends who are also willing to take the risk with you, you could certainly glean a lot of enjoyment out of the game, but it's unlikely that you'll still be playing it a couple of months down the line. Even though it's light on variety and replay value, Secret Ponchos still works as an excellent foundation for a potentially addictive and uniquely artistic online twin-stick shooter. Secret Ponchos feels like a glimpse of what could go on to be a great game. Its comic book art style looks good, and the actual game plays well – but the slim roster of characters and stages mean that you'll quickly burn through what's on offer. With only alternative costumes available to buy at launch, the hope is that more content will be added further down the line. For now, though, unless you're already a PlayStation Plus subscriber, you're better off hanging up your six shooters. 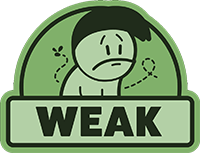 Secret Ponchos is terribly marred by connection problems and lack of content but it's biggest vice is it's underpopulated lobbies.